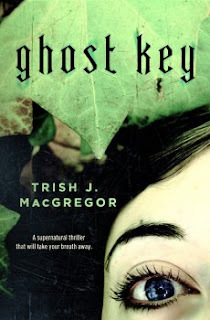 We begin the second round of Bracket Five of the Fantastic Reviews Battle of the Books with Ghost Key by Trish J. MacGregor vs. Railsea by China Miéville. The winner will be the book I (Aaron) most want to continue reading after the first 50 pages. Ghost Key: Tor hardcover, August 2012, 351 pages, cover photo by Marta Bevaqua. Ghost Key reached the second round by defeating Kangazang! Star Stuff by Terry Cooper. Ghost Key is the sequel to Esperanza. Both books concern the struggle against malevolent spirits called "hungry ghosts" or "brujos." The first 25 pages were from the point of view of Kate Davis, a middle-aged bartender in the Florida keys embroiled in strange happenings she does not understand, and Nick Sanchez, a "remote viewer" for the government who senses the Florida disturbance but does not know what it represents. The second 25 pages are from the point of view of two characters who know perfectly well what is going on. Wayra, a centuries-old werewolf, arrives in Florida following the scent of his former lover Dominica. Apparently in Esperanza, Wayra defeated Dominica's plans to create a city of ghosts, but she has escaped to try again. The next section gives us the point of view of Dominica herself, who is indeed attempting to create a city of ghosts in the Florida keys. She has recruited some 200 hungry ghosts (although so far "horny ghosts" might be a more accurate moniker), who have occupied the bodies of living humans. The section ends with Maddie, the human woman occupied by Dominica, managing to make contact spiritually with Nick Sanchez. Railsea: Del Rey hardcover, May 2012, 424 pages, cover art by Mike Bryan. Railsea advanced to the second round with a win over The Express Diaries by Nick Marsh. 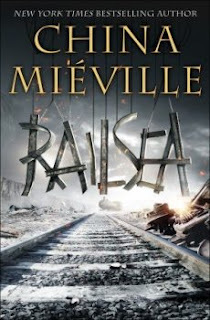 The opening pages of Railsea introduced us to a strange world where trains cross a deserted tundra in search of moldywarpes, moles that can grow to incredibly vast sizes. Our young protagonist Sham is experiencing his first moldywarpe hunt, on a train led by a female Captain Ahab, determined to find the moldywarpe that took her arm. In the second 25 pages, we learn a little more about the nature of this strange universe, composed of six layers, of which the railsea and the moldywarpes' subterranean lair are the bottom two. We then see Sham try to rescue two small birds thrust into a cockfight. The exhiliration of the resulting chase emboldens Sham to sneak onto a cart dispatched from his train to investigate another train lying on its side off the rails, a salvage venture which quickly turns dangerous. The Battle: Ghost Key is populated with pretty standard fantasy creatures, werewolves and evil ghosts and such. But Trish MacGregor ties them together effectively, and does a nice job in generating interest in her characters. I particularly liked the section from the point of view of hungry ghost Dominica, who is flabbergasted at the suggestion that she and her followers are evil. "Brujos weren't evil. They only wanted to experience physical life." "I ain't even supposed to be here." Sham hated how his own voice suddenly quavered to his own hearing. But he was here, wasn't he? Snuck on in a sudden pining for excitement, & the universe had called his bluff. His job was to apply bandages & brew tea, thanks very much, not to haul arse into sealed-off wrecks. Oh Stonefaces, he thought. He didn't want to go into the cabin——but how he wanted to want to. All his crewmates were looking at him. Was it shame or bravery that made Shem say yes? Ah, well. Either way. What Sham encounters on the other side of the door makes for engrossing reading. While I'm not a huge fan of urban fantasies, I can appreciate them when they're done well, and so far Ghost Key is done quite well. If you like urban fantasy, you should check it out. But given a choice, I respond more to a fantasy story with original and unusual concepts, and Railsea is unlike anything I've read before. Railsea advances to the semifinals of Bracket #5, to take on either Harmony by Keith Brooke or The Croning by Laird Barron.